Agastya International Foundation, Banglore has been working for a long time to provide Hands-on science education to rural children, to sensitize teachers for an innovative and interactive teaching skill and to generate scientific thinking in community. The very project is planned to execute in rural area of Barmer District (Rajasthan) by the support of Cairn India. 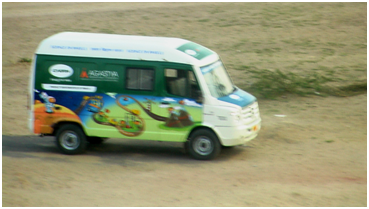 BNKVS GROUP OF THEATRE SOCIETY, JODHPUR (RAJASTHAN) joined Agastya as a local implementing partner. A van which is fully equipped by models of different branches of science along with two trained instructors, visits identified schools/ villages to provide science education. The Chief Minister of Rajasthan Mr. Ashok Gahlot started the van by showing green flag in an opening ceremony of the project at Jaipur on 6th December 2010. The program started at Barmer by 8th December 2010. There were 28 schools identified for the project initially. School Demo : The Science Van visits schools, where scientific concepts are elaborated by instructors. School children actively participate in the process. The sole objective of the School Demo is to encourage students to learn the concept by doing some activity with models. Students describe the models/process after getting knowledge of it, in front of whole class/school by the help of teachers and instructors. It gives a sort of confidence in performing students where other get inspiration by this. So, this Learning by Doing becomes a factor of positive change in students towards science education. Community Visit : There are so many misconceptions, superstitions and unawareness of health & hygiene common in rural areas. Science on Wheels program facilitates villagers the scientific way of thinking. The instructors go to a village and interact with community people on various topics and explain the science behind the fact. They create awareness for their health & hygiene related issues in a simple way. Teachers� Training : It is important to sensitize teachers about this approach of science teaching to make program sustainable and more effective. A one-day teachers� training workshop is organized by Resource Persons of Agastya. Making of low cost models, using hands-on science teaching device were explained practically to participant teachers. Science Fair : First of all we select a school for science fair and some young leaders (school children) to describe the models to other children. Instructors give training to young leaders regarding the models. In this fair we show at least 50 to 60 models. Then all students of different schools visit the fair and children learn science by discussion with young leaders. So, in this way it becomes Science-By Children- For Children. Teachers� View : The concept of the program and the demonstration by Instructors is highly appreciated by all teachers of the schools where Mobile Van visited. Many teachers showed the need of Teachers� Training Program. 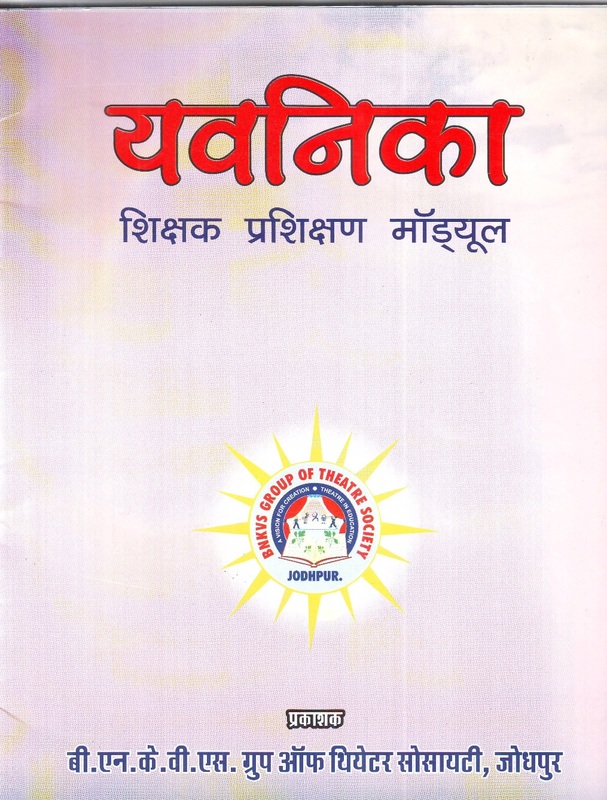 Some of teachers requested to organizers to provide such working models to school. The continuous visits were required in schools by the teachers. Students� View : Students showed the great enthusiasm and warm welcome. The students were astonished when the bookish topics of Science took shape of working models in front of them. Community member's View : So many doubts of villagers were cleared in Community Visits. The reputed persons, public-representatives like Sarpanch, Gramsevak etc. witnessed the program. It will be helpful to develop science awareness as per their opinion. So, it is all over report of activities organized in Science on Wheels Program at Barmer (Rajasthan) during the academic year 2011-2012.